In the emerging cannabis space, KannaSwiss is striving to push the boundaries of CBD research, quality and delivery. The CBD industry has enjoyed a rapid expansion over the past 5-10 years, and from early on one name has gained fast renown for proving the potential to provide the cannabinoid’s relieving benefits via an assortment of delivery methods – KannaSwiss. Based out of Switzerland, KannaSwiss holds distinction as the top supplier of high-quality CBD isolate in Europe, which has garnered it coverage from major publications like Bloomberg, CNN Money Switzerland, Reuters and Vice. With current production capacity at one tonne per month, the company expects its output to grow to five tonnes by July of this year as it releases new offerings and reaches new customers, illustrating the booming demand for CBD products. CBD is the abbreviated term for ‘cannabidiol’. Derived from the cannabis plant, various cultures have used CBD-reliant remedies to treat a range of conditions for hundreds and in some cases thousands of years. It is known that during the 19th Century, for example, Queen Victoria used a CBD-rich infusion to relieve menstrual cramps. But it wasn’t until 1940 that the compound was isolated and it was realised that – unlike its more famous cousin THC – CBD bestows its health benefits without any euphoric or psychoactive effects. In other words, CBD doesn’t get the user high. Research progressed slowly for the next several decades due to cannabis prohibition, but over the past 20 years one study after another has revealed that CBD can effectively treat chronic pain and inflammation, anxiety, depression, insomnia, glaucoma, epilepsy, loss of appetite, muscle spasms, Parkinson’s disease, multiple sclerosis, major psychological disorders such as schizophrenia, and more. There is even research that suggests CBD can support heart health and prevent some forms of cancer. 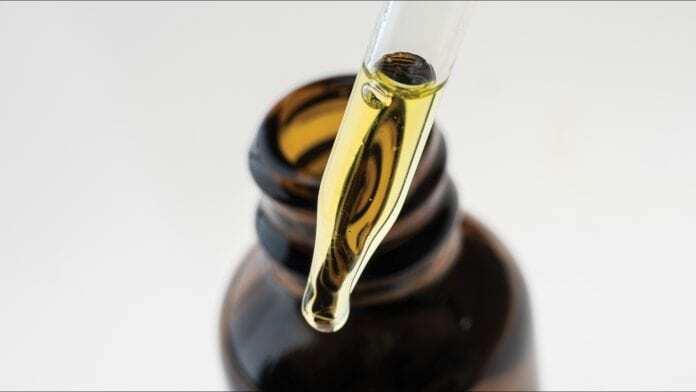 As the list of health benefits grew, restrictions around CBD began to loosen, and by the early-mid 2010s it became increasingly common to see CBD-based products on the market. It was amidst this period that KannaSwiss launched with the intention of providing users CBD relief through an array of application methods. The team at KannaSwiss places a great deal of emphasis on the importance of widely varying delivery options. While the company first launched in 2014, it took a couple years of working with a chemist from Hoffman-La Roche to develop the extraction technique it still uses today. While the extraction process was an unmitigated success at creating a high-potency final product, KannaSwiss ran into a problem: so concentrated was their extract that it resulted in a harsh taste. Not everyone realises that CBD docks with the same receptors as pepper, meaning that for some people it can be quite difficult to ingest. That is why the company chose to move forward by coming up with as many easy-to-use delivery methods as possible, making a finished product that is not only more palatable but that can be more seamlessly woven into a user’s individual lifestyle and preferences. To achieve this, KannaSwiss begins by carefully monitoring and testing potential mother plants for the highest content of health-positive cannabinoids and terpenes possible. Once the most suitable mother plant has been identified, subsequent generations are tended to through a holistic regimen that leverages organic solutions to inspire the utmost in growth potential. In other words, the result is a larger yield of a high-CBD crop. The genetics chosen depend largely on where the company happens to be growing the plant. Different countries have different quotas on the percentage of THC that is allowed to be present in hemp. Switzerland, where much of the KannaSwiss growing operation takes place, has the highest threshold in the world at 1%. Here, the company uses genetics that result in soaring CBD levels of 18-22%. All plants are grown outdoors, which is the only way to produce enough to meet the company’s skyrocketing extraction demands. CBD can be extracted via several different techniques, each of which comes with wide-ranging pros and cons. Intent on crafting more stable products that will better retain their health benefits during storage, KannaSwiss uses an ethanol method which gives CBD a longer shelf-life. This ensures that customers can not only buy without worrying about whether or not a product has upheld its potency prior to purchase, but that they can remain confident in the effectiveness of the remedy when storing it at home. From there, the company puts the extract through a number of processes used to eliminate as many impurities as possible while maximising health-promoting elements. Following extraction, the first step is chromatography, which separates out the psychoactive THC along with a series of impurities, all the while preserving the cannabinoids CBC, CBG, and CBN as well as terpenes, healthy fatty acids and vitamin E.
To ensure potency and uniformity across all product lines, the company maintains a rigorous quality assurance programme. Every batch is tested and reconstituted with isolates to verify that it is identical to those that have come before it so that customers can be confident in the consistency of their treatment. Initially, KannaSwiss launched with the production of CBD flower and oil, which were fairly common to the industry during that period. Since then the company has expanded its list of products exponentially, pushing the boundaries of how CBD can be utilised. The company’s current offerings include CBD tinctures, water-soluble drops, transdermal creams, supplements, hemp briquettes and more. In a field as new and wide-open as the CBD space, long-term success – whether that means educating customers and providing products that address their needs, maintaining profitability as a business, or playing a role in the development of the industry as a whole – means ongoing innovation. When it comes to marketing, KannaSwiss is very clear about what the company is trying to convey. Every KannaSwiss product is offered in packaging that presents a sophisticated, modern aesthetic that leans into the contemporary understanding that CBD is a medicinal tool rather than some offshoot of outdated ‘stoner’ culture. As for innovation, the company addresses this on two fronts: product development and scientific research. Currently, KannaSwiss is working on a several new product lines. These include a series of cannabinoid-enhanced sport, sleep aid, and vitamin water beverages, olive oil and more. At the same time, the company is in the process of launching several clinical trials over the course of 2019 that will look into CBD’s potential role in treating Parkinson’s, PTSD and depression. The results of these trials will be released to the public via a number of scientific journals. “By doing this, we will automatically gain more authority in the industry,” explains Blatnik. While CBD is gaining widespread recognition among people all around the world, many aren’t yet aware of the health benefits it can bestow to a perhaps unexpected demographic: pets. Studies have shown that CBD can be used to treat a wide range of conditions in dogs, cats and other animals, and consequently more and more veterinarians are prescribing it. CBD is most commonly used to treat pets with issues relating to separation anxiety or chronic pain, but research indicates that it can also help manage seizures, inflammation, nausea, cancer and more. Historically speaking, CBD was usually administered to pets by mixing CBD oil into their food or by feeding them a CBD capsule. KannaSwiss, however, is currently in the process of developing pet-specific CBD solutions that will be tailored to pet health and make it easier to administer. These are expected to be available with the next wave of product releases. Another important niche in the CBD space involves the world of sport and fitness. Studies have long indicated that CBD can be a powerful tool for athletic training and performance. From reducing pain and inflammation to supporting well-regulated sleep and nutrition and easing anxiety and boosting cognitive function, research shows that CBD can deliver a range of effects that are beneficial in sport. So compelling is the science behind these benefits that in 2018 the World Anti-Doping Agency – the group that oversees anti-doping efforts in sports spanning more than 600 organisations, including the Olympics – removed CBD from its list of banned substances. The decision has been hailed by athletes across sports who advocate CBD as a natural, non-addictive alternative to opioids and other pharmaceutical drugs. As a response, there has been a big push in the industry to provide CBD solutions that are tailored to the needs of athletes. KannaSwiss, for example, produces a number of sport-specific CBD supplements, topical creams and more. In its early days, KannaSwiss offered its products on a somewhat limited scale through online delivery, but as they’ve grown to become one of the leading CBD producers in Europe, their distribution has expanded exponentially. Today, the company has a hub in Austria that handles all shipping to distributors throughout Europe. With a growing number of nations and regions embracing the health benefits of the cannabinoid and modernising their regulations accordingly, now is a thrilling time to be involved with CBD. And as KannaSwiss works to push the forefront of medical research and product development, the company is poised to stand as a pillar in the industry for a long time to come. If you are interested in learning more about becoming a KannaSwiss distributor, please contact the company directly by emailing info@kannaswiss.com.